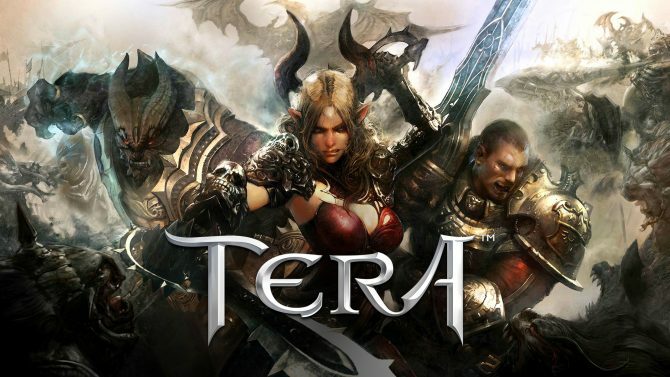 In a juicy open interview on Reddit, Brian Knox, Senior Producer of En Masse Entertainment, unveiled much regarding the future of TERA online. If the man’s name rings a bell with you, you might remember his interview with Dualshocker’s own Giuseppe here. Amongst the many questions posted by Reddit users were concerns about control as a guild master, CPU bottlenecking, lag caused by Nexus events, armor templates, milk expiration dates and more. Some of the more interesting (and game-related) questions and their accompanying answers have been listed below. Question: One of the major problems that I experienced when running a guild has been summarized in this post. If you haven’t seen that post, it mostly expresses the major concerns that most guild leaders have regarding the lack of permissions, settings, and general frustrations that Guild Masters have. For me personally, it really bothers a lot of members (and leaders) that the only option for guild banking restrictions are, “Take it all” or “no access what so ever.” Especially since in World of Warcraft hackers take over accounts and then just wipe the bank clean. With such an emphasis on guilds in TERA, are we going to be receiving any of these changes soon? Answer: We have a bunch of guild needs, some taken from your post, on the board to get worked on. The first one up is assigning a true #2 that can do the same things a guild master can. It should be in the next patch if it passes testing. Question: Hey Brian, I noticed that there had been a lot of talk about Nexus lag caused by a massive amount of people in one area. Is this something that has been brought up within En Masse? Answer:Yes the nexus has moved to the top in terms of priorities to look at. Specifically the lag and zerg of the event. It needs to be fixed we just need to do it right. Question: Hey Brian! Is there any chance of you guys making it so that any armor (that your respective class can use) can be used as a template? Answer:This has been requested a few times. We plan on bringing it up with the dev team to see the scope of making this happen. 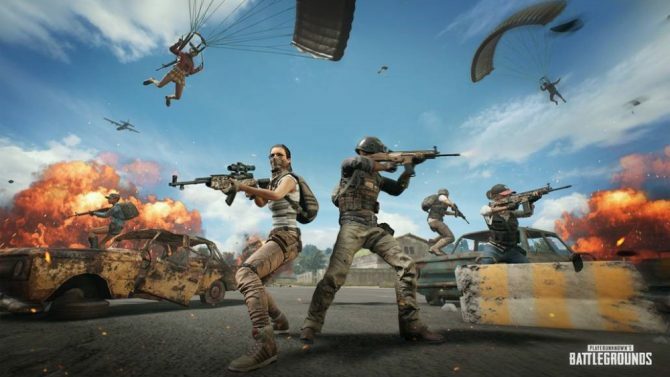 Question: Do you think Battlegrounds will fully solve the various problems of not enough pvp? Answer:No, we can always add more and do better. In particular around rewards for OWPVP and GvG, but it will be a step towards a different type of PVP for folks to enjoy. Question: Can we expect to ever see territory in the game that can be obtained through pvp conquest / sieging. I am not talking about the new patch coming out concerning the GvG, i am talking actual physical territory like a base or castle or fort that can be obtained by a guild through gvg sieging. I believe sieging would work very well in this game of it were instanced and limited to say 50 players (25 v 25). 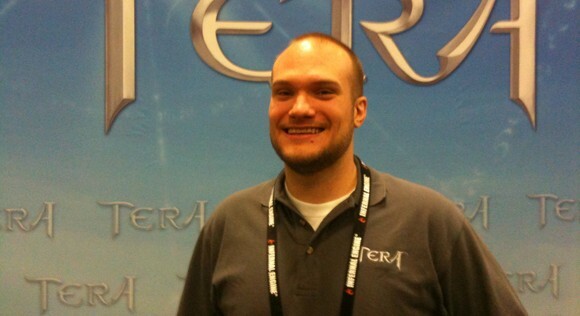 Will we ever see support in game for alliances between guilds? Will we ever see support in game for guild campaigning, for example erecting recruitment statues in towns or cities to promote your guild or election campaign. What can we expect to see down the line for guilds in terms of political end game. What will we be able to own besides provinces? How will this actually be beneficial and worthwhile for guilds to pursue? Answer:These are all similar to the longer term areas that we are working on adding over the next year as we improve the community aspect of TERA. All your ideas are good and are on the table right now as possible. Question: Chronoscrolls. They were supposed to be out at the end of May and it’s almost the end of June. I know there are a lot of players like me who are awful at making gold and would rather just sell Chronoscrolls. So any ETA on when we can has? And secondly, could we get a reason they’ve not been released yet please? I wouldn’t mind waiting so much if someone would explain what the hold up is. Answer: You will find out more on Chronoscrolls on Monday! The chance of bad guy abuse is huge with Chronoscrolls so we needed some security measures in place. Question: When will PVP battlegrounds/warzones be in? Answer: Battlegrounds should be out later this summer. Question: Are there any plans in the future to make changes to how the crafting system, and/or add more crafting quests? For example, I realize that Alchemy 300-410 was removed, but will they be replacing it? Answer: The quests helped but they were also really lame. I believe our next patch helps crafting skill up a bit quicker to make up for the lack of quests. Question: Any word on bringing back the boxes and eggs? Putting the boxes in a shop vendor rather than the loot tables would be a nice way to work them back into the game. Answer: No boxes or eggs quite yet, but we have an event coming up that should put some of the rare crystals back in the world which is the biggest missing piece from removing those two items. Question: Will there be further censoring at all to try and appeal to a larger market? Is altering textures a bannable offense? Any time frame for when transferring from PVP to PVE will be enabled? Answer: We didn’t look at it as censoring but instead making the game more appealing to the west. We wanted to make sure that one screenshot didn’t turn off a potential customer. You aren’t supposed to alter the client cause it can mess tons of things up and cause issues with support. I will leave it at that… No timeline on PvP to PvE at this time. Question: Black and white dyes? Answer: Mentioned before but we have some new armors coming out and also the craftable Munsell dye kits can get you to black or white (or as close as the base color of the armor allows). 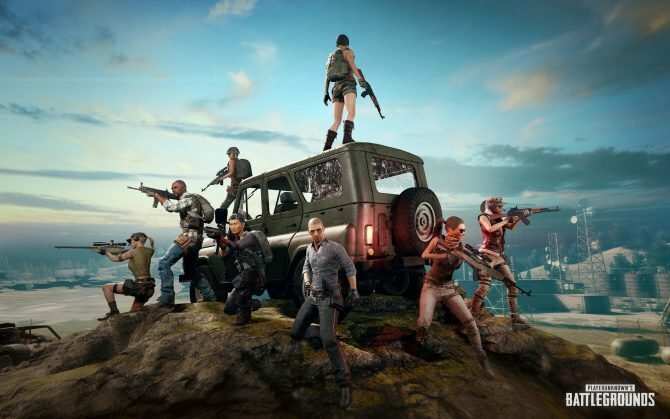 Question: As for an actual question, if/whenever battlegrounds are implemented, will you be able to gain EXP from them (for both wins and loses) and will it be enough to conceivably level a character to level cap? Question: Hello, is there any “major reason” why you guys chose subscription based model over the recently very popular free-to-play model ? Have you even considered the later option ? Answer: Tough one to start out? The game started development in 2007 when subscription based games were going strong. If we had to go back and do it over again I think we would have tried to find a way to be more ‘free to play’ than subscription. One baby step we have taken is opening up 7 days trials to get people to try TERA out without an upfront cost. The complete switch from sub to F2P is something we have been looking at for a while but it takes a good amount of development time to make this change and right now we are focused on getting fun content out. Question: Are there any plans to fix the Archers? The forums are filled with errors such as Radiant Arrow and Penetration Arrow not having the same charge times, Glyph of the Pump being useless in dungeons, and the Glyph of Lingering for Restraining Arrow not working at all. Are these issues known and if so when can we expect a fix? Answer: Archers need some love we are looking at it. 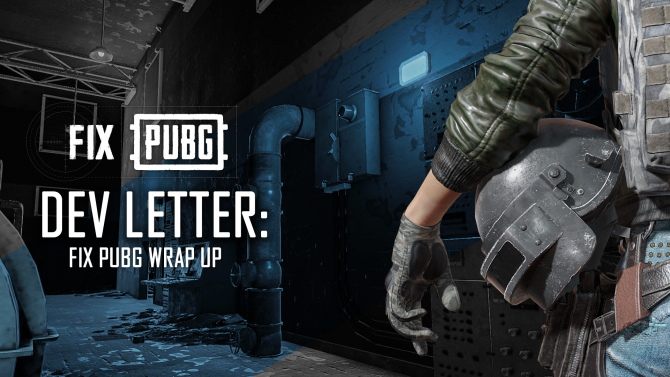 I will say that class balance will be ongoing forever and each class is going to have it’s ups and downs. Question: Windows 8 support when? Answer: I just saw an email about a new Win 8 build that went to testing. Not sure if its just for testing or release but its on our radar. Question: Do you have any insights as to future directions, possible major features/ideas that are being considered? For instance, similar to the Aion Visions trailer which gave previews of possible future directions and features of that game. Particularly NA-specific features, not just the direct ports from the KR version. Answer: We want to make the political system bigger, we want real actions and consequences and maybe even a bigger stage than just Vanarch… Community is going to be the big focus for the next year. Question: Are there going to be any changes in the near future to the low drop rates for certain gear in the endgame instances? Also will there be any changes to enchanting and its costs? Answer: Next patch actually. Enchanting is always being looked at because it is a huge part of our economy. No big plans on it yet. Question: So I tried TERA in the beta and while I enjoyed the combat immensely I found the questing to be bland and generic. Like fetch 10 bear arses or kill 10 of the demons of evil. As a experienced MMO player I have done this a billion times already. What is your take on this and has there been/will there be any improvements? Answer: I’d love to argue and say our quests are super varied and unique but the fact is they aren’t. It is a weakness for us. I will say that our end game daily quests are much better and we are working at getting more variety into the game earlier but it takes time. Question: Hey Brian, thanks so much for taking the time to answer questions, have been playing since launch and had a main concern in my class choice. Is there any new changes on Berserkers you can comment on? I personally love this class, the ability to charge up one attack for massive damage is so awesome, and very rewarding. However I notice in end-game, its very important to crit, especially with crystal stacking on bosses. If I don’t crit, I don’t do decent dps, and with Slayers getting triple crit glyphs and Berserkers lacking, I feel as though we can easily just be replaced by that class. Any changes on Berserkers to not making us the crappier version of Slayer in PvP/PvE? I’d really like to have my own niche, and not just in group PvP. Answer: Berserkers need some love and are on the list for some changes. Right now our focus is around getting the warriors in as tanks but after that we can shift some attention elsewhere. Question: Are we going to see Player Housing soon? Answer: We are looking at housing but right now our focus is more around guild housing than personal. Question: Will we ever have an official global chat separate from LFG? Putting a 1min restriction on LFG chat is fine but, this is an mmo and socializing is a big part of the mmo experience for some at least. Making a custom channel doesn’t work because you have to constantly re-join when logging in. My server feels much more alive when we can talk on a global scale! Will we see a global chat channel soon? Answer: We can do that – it has been asked about a lot just in this AMA alone. I will work on it. If you want to read the full AMA, click here.